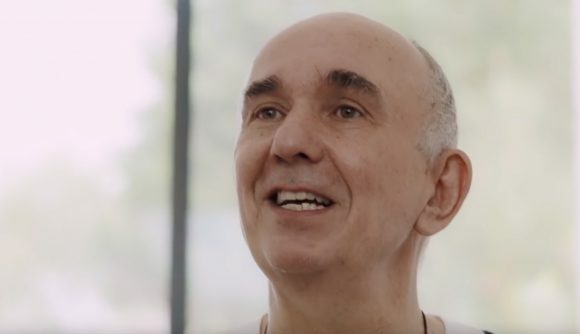 Peter Molyneux may have gone into a self-imposed exile to avoid further controversy about his big ideas and his ability to deliver on them, but he’s still out there making games with ambitious concepts. His latest, Legacy, is a sort of tinkering sim – you start out building stuff in a little workshop, sell your creations, and fund an expanding business empire. Inspired by his own father’s home workshop, Legacy features a robust building component where you can slap together parts in just about any configuration. That lets you build everything from phones and teddy bears to guns stacked on top of skateboards. Once you start selling, your business evolves, and that means hiring workers, building factories, and growing into a full industrialist – and deciding whether you’re going to be a good or evil boss along the way. While Molyneux’s next game was first mentioned years ago, the designer – probably wisely – thought it better not to discuss Legacy in detail. The official reveal, courtesy of the latest Levels documentary from Red Bull, doesn’t provide many specifics, but it does offer some insight into the big picture ideas at the heart of Legacy. We’ll see whether or not Legacy is able to live up to those plans – eventually. In the meantime, here’s hoping that it’s a little more Fable 2 and a little less Godus.